Park on Park is a beautiful 1930's home with Art Deco features and furnishings. Park on Park is newly renovated & is a warm & welcoming home. It has all modern comforts. The lounge has air-conditioning & a heat pump (reverse cycle air-conditioner ) and there are heaters and electric blankets in each bedroom. The dining room is off the lounge-room. There is a separate kitchen, two bathrooms (one with a shower & toilet, the other with a shower over the bath) and a separate toilet. Laundry facilities are in the larger of the two bathrooms. A portacot is available. Please request at time of booking. Park on Park is a four minute drive from the centre of Hobart (about 2.7km). Approved for use as Short Stay Accommodation- Planning Approval PLN-17-1072 granted 3 January 2018. We are very proud Tasmania's and we are thrilled to be able to offer accommodation to travellers, business people and locals. We have relished the opportunity to decorate and furnish Park on Park - and we hope that you enjoy it. Whilst there is a fireplace and a wood heater in the house, neither are used. Electric heating and cooling is available in the lounge room and heaters are provided in each bedroom. As the drive is narrow, it presents as a challenge for some. For this reason it should not be used - ample parking is always available immediately out the front of Park on Park. Smart TV - Internet and NetFlix. The FM radio/ CD player /sound system can play your music through Bluetooth or USB connection. Breakfast items are available (cereal, porridge, fresh bread, spreads and milk). Condiments are also provided. A lovely private courtyard is yours to enjoy. It is situated at the rear of the house and is where the BBQ is located. Park on Park (Park Yourself on Park) is in a lovely neighbourhood - and is close to everything. 4 mins from the centre of Hobart by car and 3 mins from the delicious restaurant strip of North Hobart. It has sensor lights outside and an electronic door lock (code to be provided in an email a day or two prior to your arrival). Our stay at Park on Park was amazing. The house was beautifully furnished with elegant traditional furnishings. It was truly wonderful and made our stay very special. The house was impeccably clean and the beds were very comfortable. I had my best sleep in months. Such a lovely way to begin our holiday. 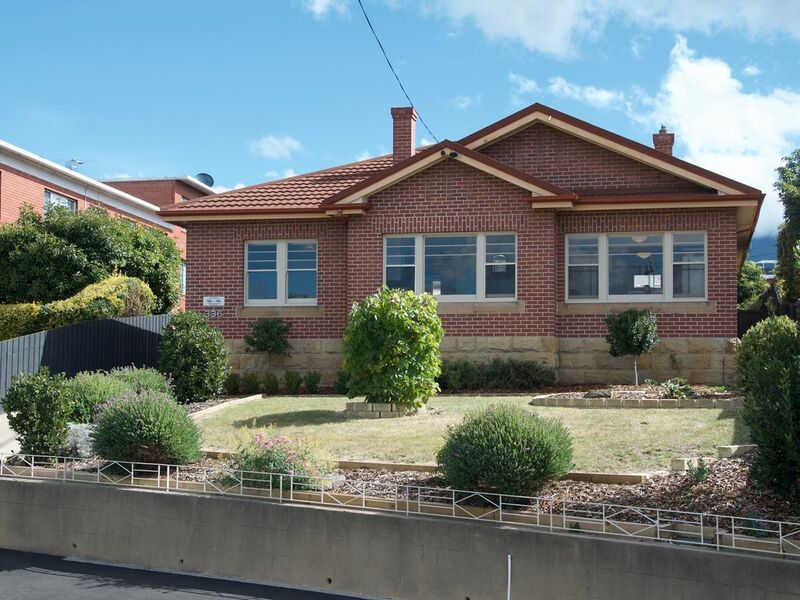 I would recommend this house to anyone wanting accommodation in Hobart. Thanks for staying with us Pauline - it was a pleasure dealing with you and we look forward to having you back some time. All the best for your Tassie trip. Beautiful house. Very tastefully decorated. Spacious rooms. Comfy beds and doonas which were lovely to snuggle into. Very much a home away from home. It was great having a well equipped kitchen so cooking was a breeze. Owners are very friendly and want you to enjoy your stay so cater for your every need. Very close to everything you need in Hobart. Close to the eating strip and Salamanca. Only a $20 taxi drive to either the eating strip or Salamanca if you don't want to drive yourself so you can enjoy a drink or two. Lots of tourist brochures and other info on hand to plan your stay. Would definitely return here if we return to Hobart. Thanks for staying with us - you were great guests and we hope to see you again. Everything we need the host provided. Very clean and organized linen and beds. Nice character throughout the house. We thoroughly enjoyed out stay in this delightful home. Park on Park has been renovated to the highest standard with quality fixtures and fittings. The décor and other personal touches are very tasteful and were well appreciated. Three of the bedrooms have huge, comfortable beds which was important for our group of three over 55 ladies. The kitchen was beautifully appointed, and Matt and Steph ensured all of the pantry items and kitchen basics we could possibly need were supplied. The views from the front windows are amazing. We stayed six nights and the house was just a short drive from all of the sights we wanted to see in Hobart. A large shopping centre is only a short drive away. Matt and Steph, our hosts, were easy to communicate with throughout the whole process, and were so friendly. It was lovely to meet them during our stay. We will definitely recommend ParkonPark to our friends and families. Thanks for staying Jacqui and for your kind words. We look forward to welcoming you back. Park on Park is situated close to everything - the Hockey Centre, the Aquatic Centre, K-Mart and supermarkets. Not far away is the centre of Hobart, Salamanca and the beautiful restaurant strip of North Hobart. MONA is about 10 minutes north.